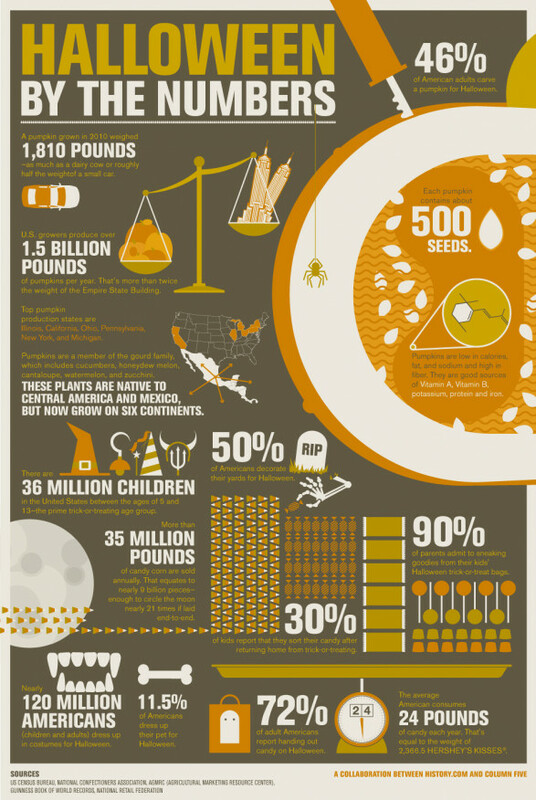 In the spirit of Halloween for today, we wish to pass along the following infographic that we enjoyed on Halloween data. Few of the results were surprising to us, however we liked the finding that the average pumpkin has about 500 seeds. Enjoy the day!